LSC received 12 proposals from area organizations and class members were responsible for conducting the entire application review and project selection process, from reading proposals, judging pitch sessions, and selecting the projects they wish to work on over the course of the program. Class members were also responsible for assigning themselves to project teams. Thank you to all of our applicants for their time and interest in LSC! Look for project updates throughout the year! 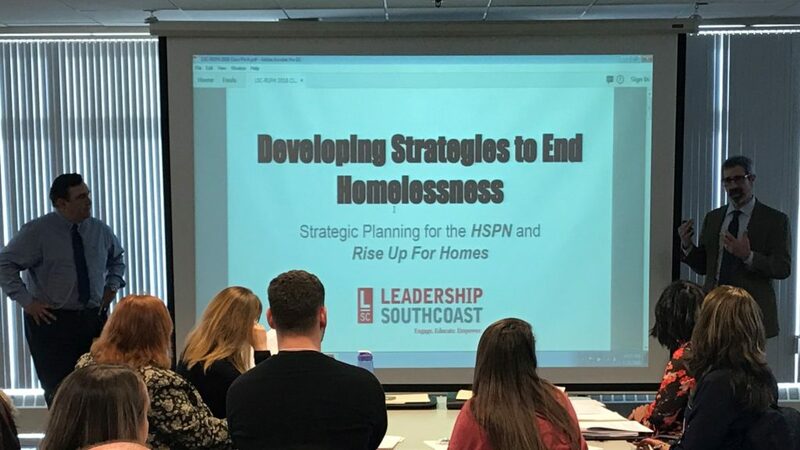 Carl Alves from PAACA and Jim McKeag (LSC ’17) from MassDevelopment make their pitch for the Homeless Service Providers Network and Rise Up For Homes project.